Hm, that title doesn’t roll off the tongue too well, does it? One of the wonderful things about getting an ereader is the availability of out-of-print classic books. Project Gutenberg is a good source, but you can also find them at places like Feedbooks, Open Library, the Mobileread site and ManyBooks. It’s a chance to catch up on reading all those books that you feel you really should have read, but haven’t. This month, I’ve read two books from Project Gutenberg which, on the face of it, might be thought of as quite similar. 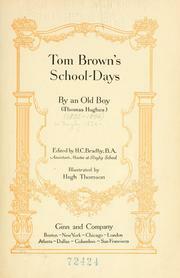 Tom Brown’s Schooldays, by Thomas Hughes, was published in 1857 and tells of the experiences of a Rubgy School student. 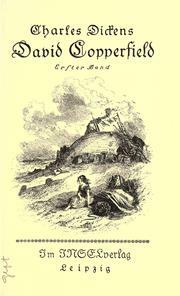 David Copperfield was first published as a book in 1850 and follows the life of a young author, including his days at school in Canterbury. In both books, the character of the boys’ headmaster is an important one. Several persons, for whose judgment I have the highest respect, while saying very kind things about this book, have added, that the great fault of it is ‘too much preaching’; but they hope I shall amend in this matter should I ever write again. Now this I most distinctly decline to do. Why, my whole object in writing at all was to get the chance of preaching! When a man comes to my time of life and has his bread to make, and very little time to spare, is it likely that he will spend almost the whole of his yearly vacation in writing a story just to amuse people? I think not. At any rate, I wouldn’t do so myself. I think Hughes missed an opportunity here. If he’d made his book more enjoyable to read, then he could have got his message across to many more people without the necessity of preaching. As it is, I certainly can’t recommend Tom Brown’s Schooldays. David Copperfield, on the other hand, is gripping, entertaining and often funny. At over 700 pages, it is a long read, but a satisfying one. My suspicion (as always) is that I’m the only person in the world who hasn’t read this particular classic, but just in case that’s not true, this one is a worthy addition to anyone’s free ereading library. The covers on this page were taken from Open Library. The images are links to the Project Gutenberg versions of the book. Unfortunately, A.J., that is not true. I have yet to read the beloved classic David Copperfield, and I really have no excuse since over a year ago, I stumbled into a half-priced bookstore and found a paperback copy for only 8 bucks. I keep meaning to pick it up and read, but every time I see the thick novel, I shy away. Still, glad to know it was an entertaining read. And I have not heard of Thomas Hughes. Sorry that one didn’t work out for you. Some of the characters are either too good or too bad to be true – and the number of amazing coincidences borders on the ridiculous – but if you can tolerate those things, it’s an enjoyable way of passing a winter evening or five!